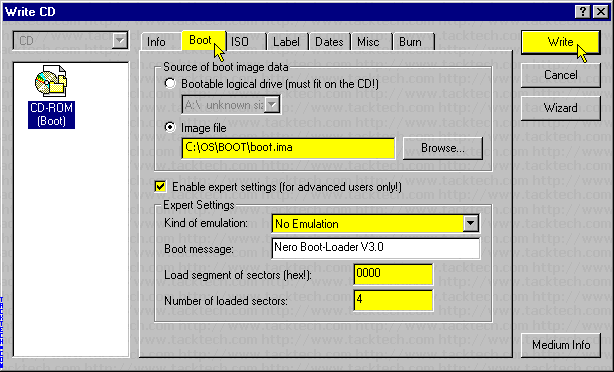 Creating bootable Windows 2000/XP/2003 Disc (Nero 5.5) (Windows 2000/XP/2003) - TACKtech Corp. 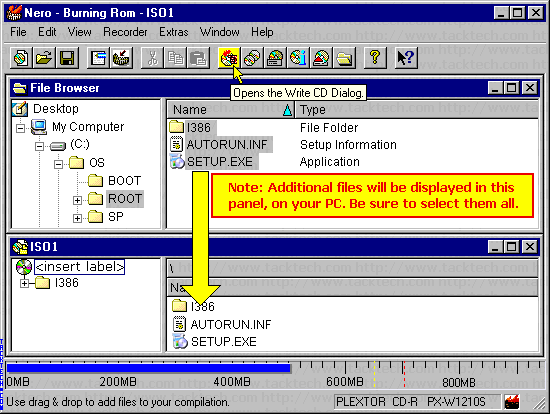 Note: Nero Burning ROM 5.5.10.45 was using in this example. 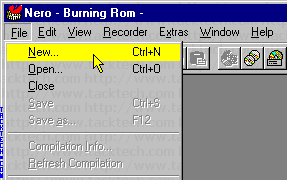 Start Nero - Burning Rom. 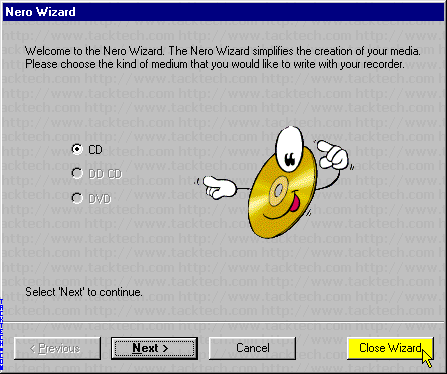 If the Nero Wizard starts, click the Close Wizard button. 7.) Press the Browse... button. 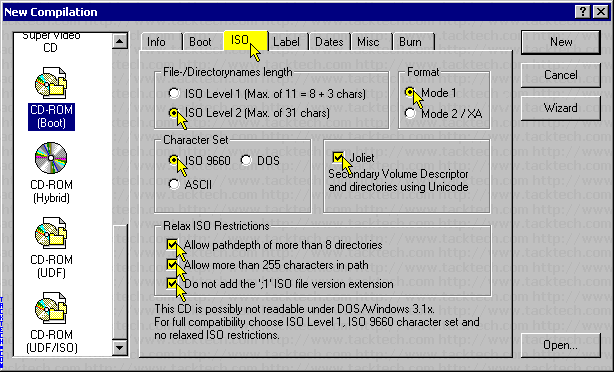 - Set File-/Directorynames length to ISO Level 2 (Max. of 31 chars). 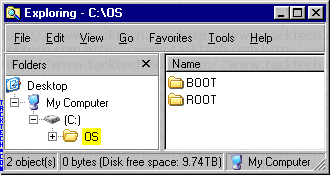 - Set Character Set to ISO 9660. 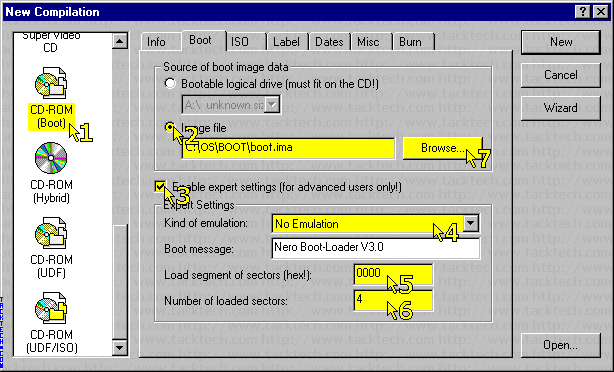 Select ISO9660 from the drop down box. 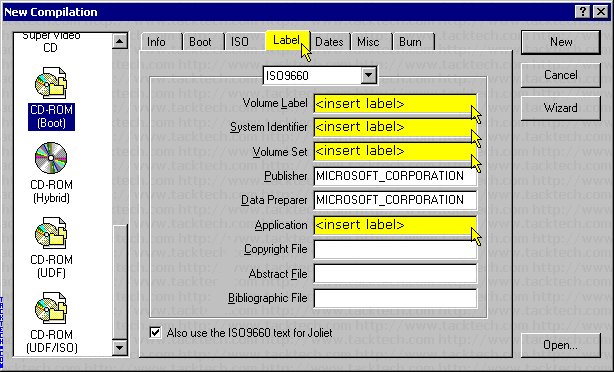 Enter the Volume Label, System Identifier, Volume Set, Application. 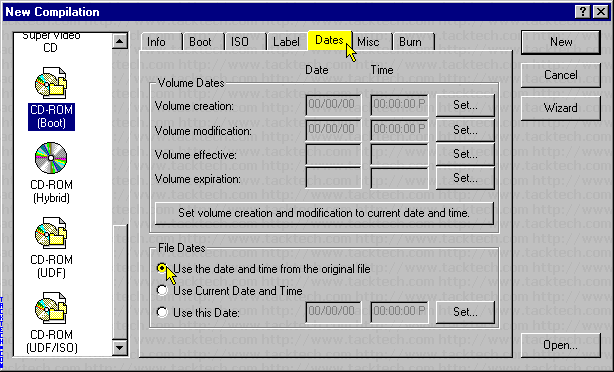 - Select Use the date and time from the original file from File Dates. - Click the Write button. 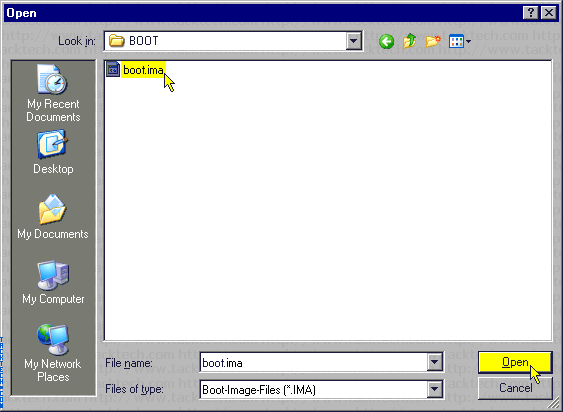 02.07.2004 - Finalized tested and layout for publication. - Kevin/Anthony.